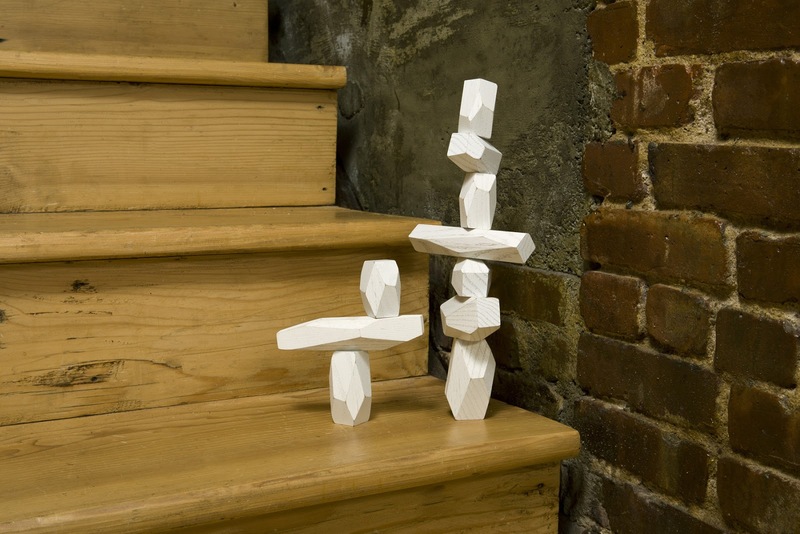 The most beautiful set of Balancing Blocks we have ever seen with a style that is very similar to Isamu Noguchi's sculptures in stone. 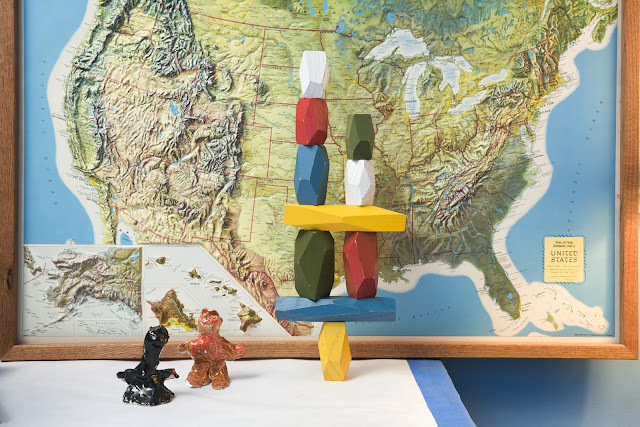 Stack them up, knock them down, create and break down cities and miniature worlds. Ten hardwood game pieces finished in non-toxic white or primary colors offer a vintage look through fun contemporary forms. 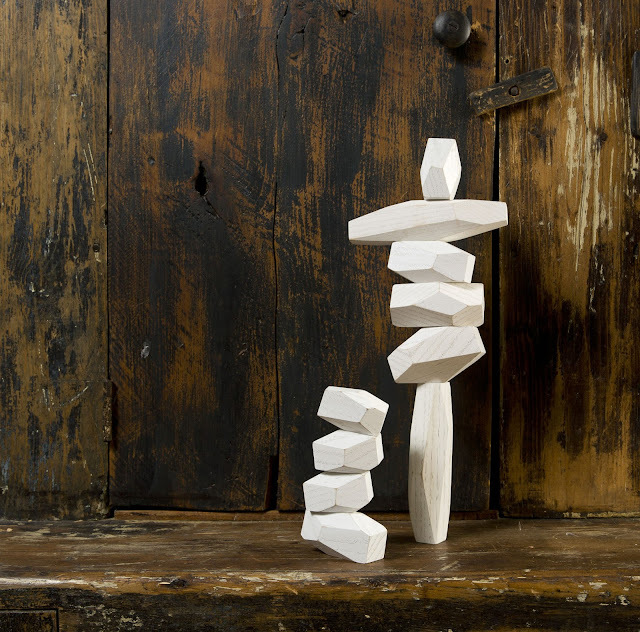 Balance these ten faceted stone-size shapes to create your own Noguchi-like sculpture. Tumbled in a water-based paint, and packaged in a cotton drawstring bag. A beautiful and very unique gift idea for the creative child or architectural spirit in you!